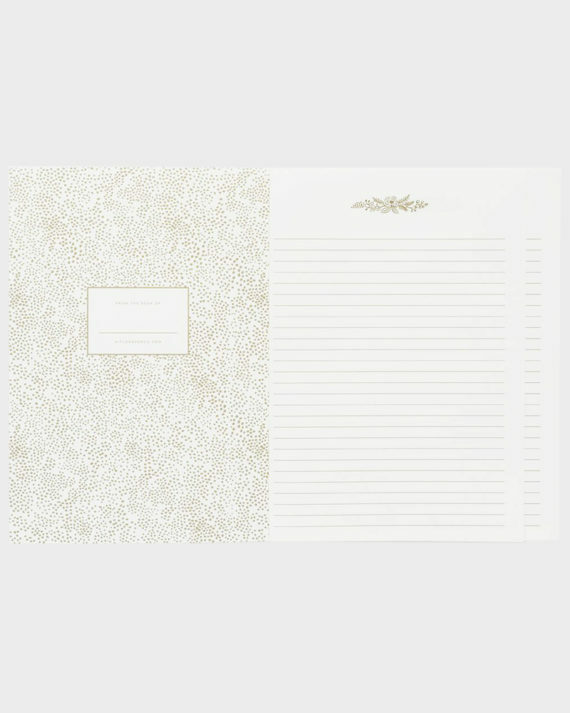 130 ruled natural cream white pages. The lovely, detailed Tapestry pattern on a dark background is like a field full of flowers! 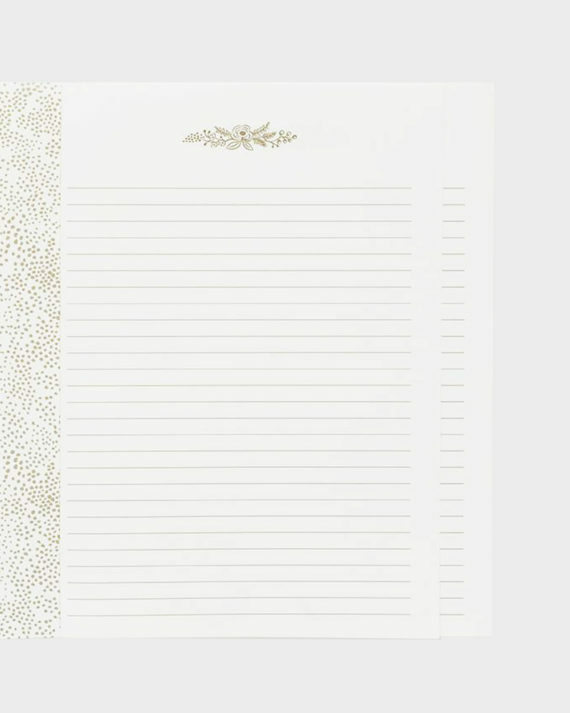 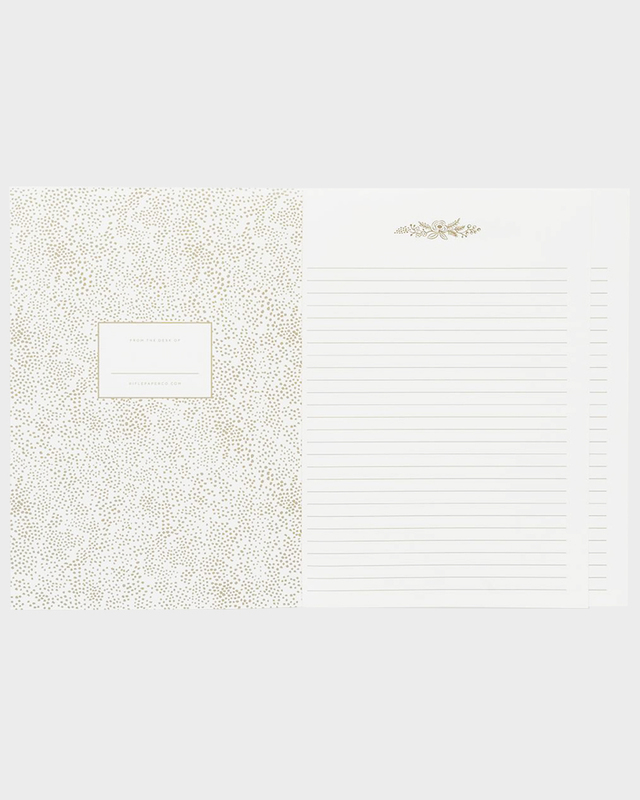 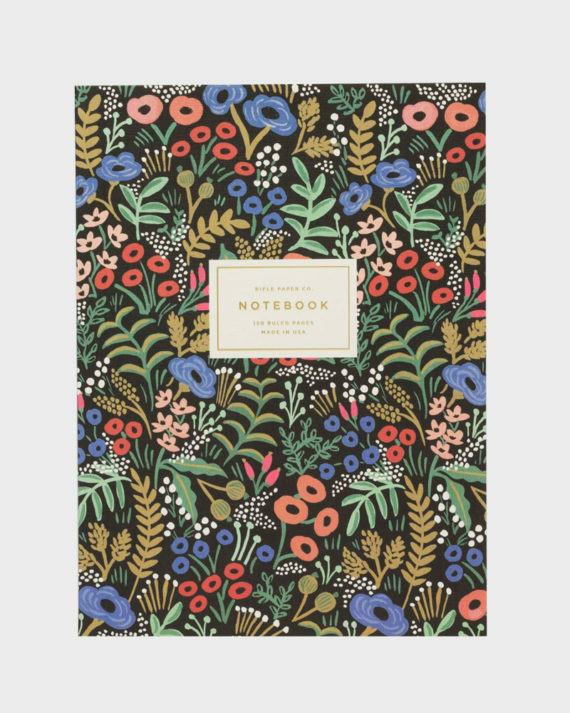 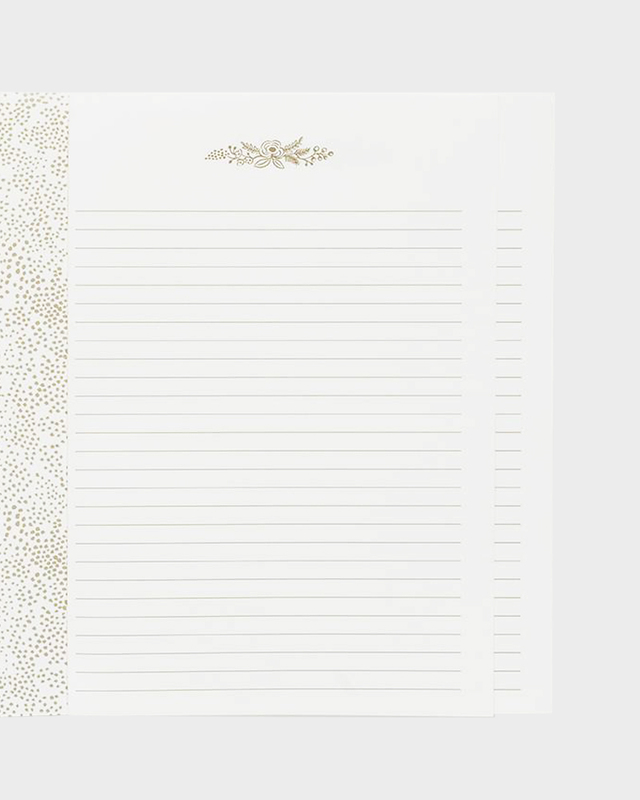 This stylish notebook by Rifle Paper co has illustrated covers and 130 ruled natural cream white pages. 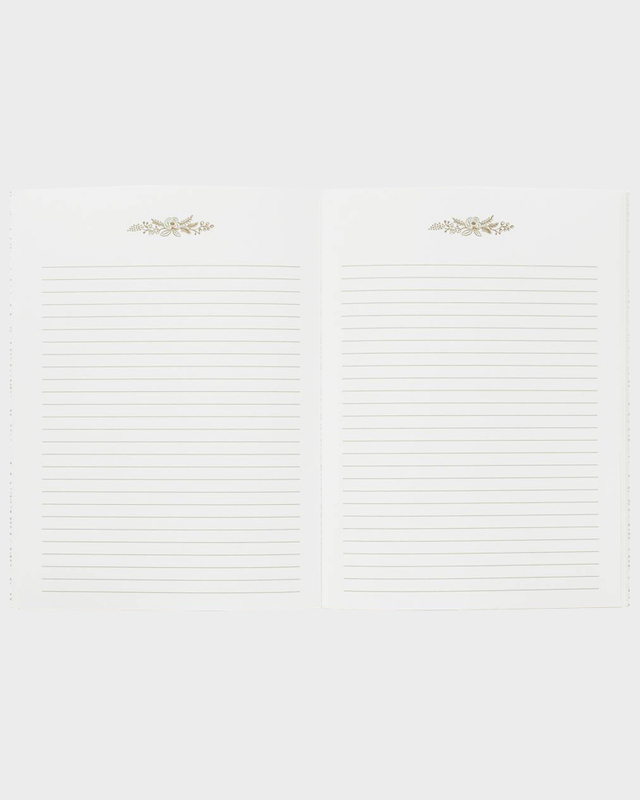 The notebook measures 16 x 21,5 cm. 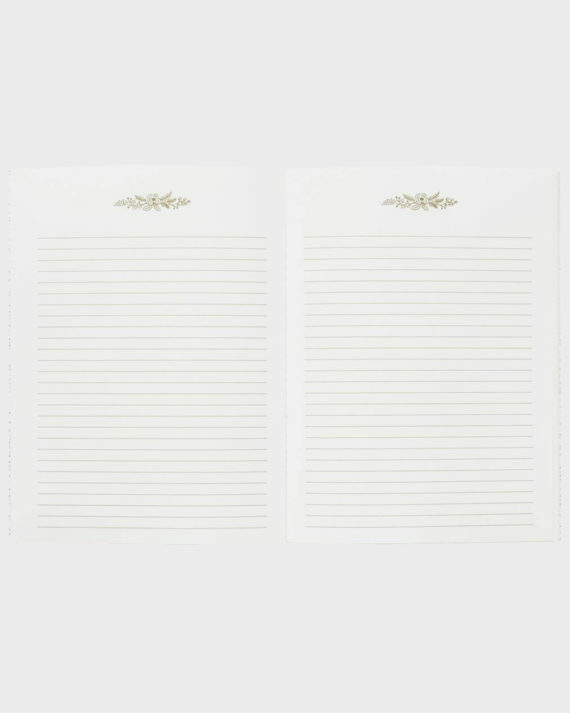 The item is designed and made in the USA.